Volunteers bring with them new skills to share, different approaches and methods to be tested, and an enthusiasm for our cause. 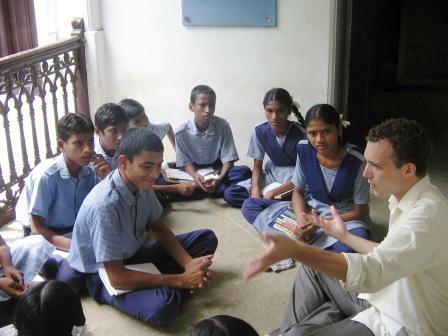 While working with us, volunteers are expected to create systems that will allow their work to be replicated in the future as well as to share their talents with teachers and staff in order that their knowledge will remain available and continue to impact the students, schools, and organization after their departure. A self confessed Math enthusiast, Girija jumped in to assist Class 10 Math teachers and students in Kalleda School to improve their Math concepts. Even though she is still recovering from a spinal injury, which kept her bedridden for over a year, she travels to Kalleda and Matendla schools to support as required. Her enthusiasm and patience is highly appreciated by everyone! 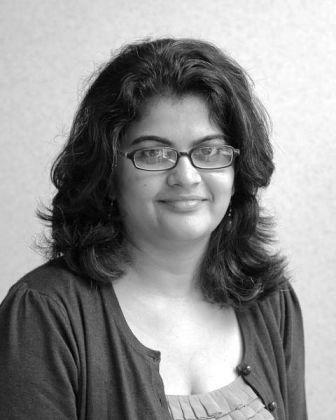 Neha Dharia is RDF’s Communications specialist. Since 2010, she has helped with design and content for RDF’s Annual Report and writing weekly blogs. Though she works fulltime, she has unhesitatingly helped RDF when needed. She puts in all this effort remotely since Neha is based in Bangalore. Grace worked with RDF at Kalleda, Rollakal, and Redlawada schools. 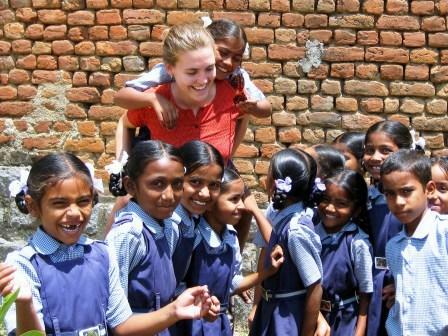 While she studies law, she has always loved children and wanted to explore India from the inside. Kevin Crouse, Research Fellow at Rutgers Graduate School of Education, came to Kalleda school to study the educational innovation happening at RDF schools. He worked with teachers to develop more student-centered teaching methods and taught students over a six weeks period at the beginning of the 2012-2013 school year. At the end of June, he ran a Youth Participatory Action Leadership Institute for the 9th and 10th classes in which invited educators and leaders came to Kalleda to lead small groups of these students through a community-centered critical thinking process of analyzing a community issue, developing a depth of understanding around it, and planning potential locally-sourced solutions. 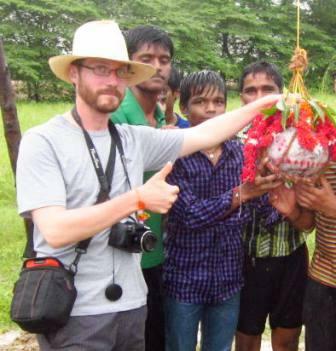 Andrew Flachs was a research scholar with Wash U, and this was Andrew’s second stint at volunteering with RDF. In 2012, he was based in the RDF VAPV Junior College, where he instructed students on the photo blog project. He came back to continue his research on farmers, and managed to carve out time two days a week to assist students and teachers in building language skills, classroom instruction, help with the Grow by Reading program and of course, the photo blog project with school students. Pooja, now based in the US, helped RDF by supporting Math and Science curriculum in Redlawada and Rollakal schools. As a professional with over 16 years of experience in the Education Management sector, Pooja found RDF through a Google search, was intrigued by our work and flew down from Delhi to learn more! 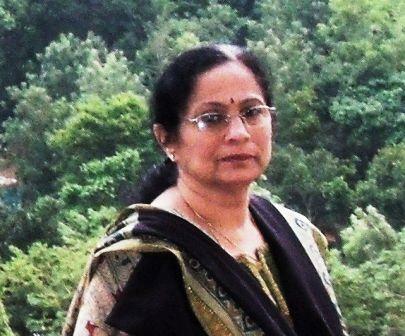 Her passion for enabling teaching and students got her to return each month from New Delhi to her ‘adopted’ schools. She is a firm believer that the latent capacity of every individual can be developed and utilized to its full potential through the power of Education. Vivienne arrived in November and shared her extensive administration and management knowledge with the schools as well as the head office. She helped the CEO with recruitment, administration and public relations efforts. They divided their month between Matendla School and Kalleda School. Samata, who will be a senior biology major at University of California at Berkely, came to India as part of her Global Poverty and Practice course. She designed a series of science experiments using simple materials that students themselves could conduct/perform. Samata and her mother Shubha, a chemist, demonstrated the experiments and worked with teachers to incorporate them into the curriculum. In addition, they both taught conversational English classes to interested students. An International Baccalaureate student in Austria, Nick couldn’t resist the rave reviews of his sister Bella, so he hopped on a plane to check out RDF for himself! Dividing two weeks between Matendla and Kalleda he spent time teaching conversational English, joining in various sports, and exploring the area. Nick also managed to pick the Director’s brain about the inner workings and finances of the organization before continuing on to a business camp in China! A teacher in New York, he came to Kalleda School to visit his friend Marena and found himself volunteering. He spent his afternoons at Wadlakonda School finishing the CfBT courses with teachers there. She taught her second Youth Empowerment class, which created a digital story about dowry (the first focused on water pollution and political corruption). She also took care of administrative tasks related to board meetings and coordinated volunteers and guests, including the Washington University program and the partnership with Bridges to Understanding. She also updated information on the RDF website. Co-taught a Youth Empowerment course with Elizabeth Sewell and individually produced a digital story focused on earth pollution with half of the students. Additionally, she took on the role of PR and Development Manager. During her time with RDF, she tackled the enormous task of gathering and cataloguing information regarding the needs of all five schools and the junior college. Marena Lin first came to Kalleda last summer and taught several English classes experimenting with Linguaphone technology. 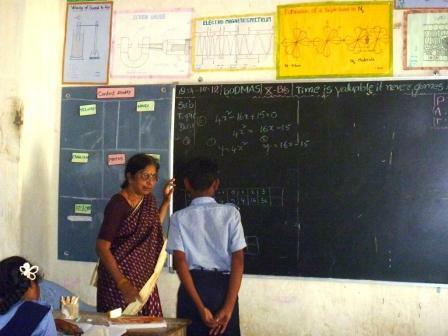 She returned on a research grant from Harvard and lived in Kalleda for one month, during which she took time to help teach CfBT English classes to teachers at Redlawada School. While here she also taught Ultimate Frisbee to the JC students, explored surrounding area by “cycle,” and introduced everyone to “the world’s best samosas” in the next village! Sebastian Mayr: “Teaching at RDF Matendla was an unforgettable experience. I enjoyed every minute of my stay, and was sad to leave after both a challenging and engaging 19 days. I left the school with a desire to return, and see the other RDF schools throughout the country. I’ve definitely learned a lot about myself in the process, but have also formed a close and affectionate bond with the students and teachers working at Matendla. Adapting to a virtually unknown culture to me, everyone helped in the process and made my stay at the school both welcoming and hospitable. Teaching the students seemed to become more natural every day, and their eagerness to learn was evident from the first day onwards. I cherish the memories I’ve shared with the students and teachers, and I would like to once again, thank everyone for making my stay so memorable ! I am very excited to return next year and continue my RDF journey”.